For post-market surveillance processes and best practices for medical device companies, using QUOSA can save a lot of time. 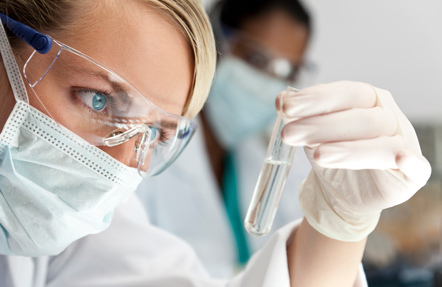 At PharmIntell, we conduct clinical searches for a variety of clients. We generate clinical research reports as required and IACUC pre-market reports as well as performing post-market surveillance, explains Donna Sees, an Information Consultant at PharmIntell, who has been a librarian in the medical field for more than 10 years. I’m a very process-oriented person; I coordinate the work as it comes in. Today’s pharma and medical libraries are now being outsourced, explains Sees. In addition, some companies don’t see a need for internal libraries. They have the mindset that with Google, they can do it themselves. It really does take a professional, though, to get the kind of information that companies in a highly regulated environment need. In addition, regulations in the EU and the US are always evolving. With QUOSA, we can quickly produce and export a spreadsheet for a medical writer, for example, that can show the citation, abstract, DOI link along with the device trade name field if it is available from the original database. If not, we will often review the full text for any reference and add it to the QUOSA record’s properties. We can produce all this in a Word document with hyperlinked titles directly to the full text in the QUOSA virtual library, Sees explains. We can even get a dynamic link to the whole virtual library, export to EndNote(TM), or produce a bibliography appropriate for regulatory purposes directly from QUOSA. Depending on the company we’re working for and the purpose of the search, our surveillance process varies, but many requirements are similar. If we’ve had history with this company or device, we have a structured search that we go back to. We can keep the same search strategy and can set up alerts. We also look for comparator new products and little nuances, like if a company has changed names,” Sees explains. “This is where QUOSA is a wonderful resource — we set alerts there. And we publish the virtual library results to QUOSA and it saves a great deal of time and produces search documentation.